The trends are defintely getting growing for chunkier knitting. 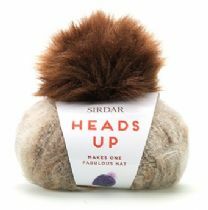 Sirdar and Hayfield's quality yarns and modish patterns are truely inspirational. 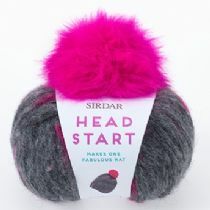 Head Start is a fantastic hat in a ball package, which includes a funky pompom to sew on to your hat. These slouchy hats come in a variety of colour combos. Super gift whether knitted or not. One ball makes a really trendy hat with pom pom. 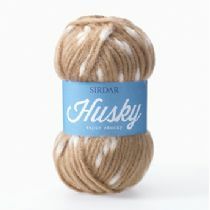 Sirdar Big Bamboo is a new super chunky yarn made using a gorgeously soft blend of 50% Bamboo, 30% acrylic and 20% wool. 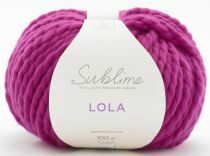 The yarn is made with an innovative, knitted construction, making it incredibly soft and warm to wear. There are 16 softly tinted fashion shades with cream, camel, buff brown, denim blues, soft greens and greys. 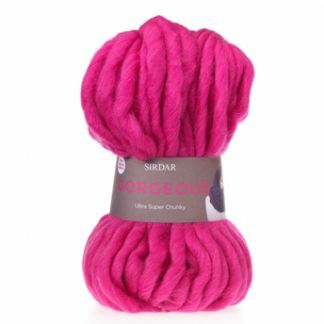 Sirdar Big Softie is an incredibly soft and lightweight super chunky yarn, with a fashionable loose twist construction that is incredibly easy to knit on 10mm needles. Sirdar Big Softie is the perfect yarn for beginners and for knitters who want a really quick project. 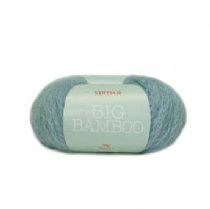 Big Softie will also knit to all of Sirdar's Denim Ultra designs. Sirdar Faroe Super Chunky is a beautiful yarn inspired by the timeless landscape, sea and sky of the ancient Faroe Isles. 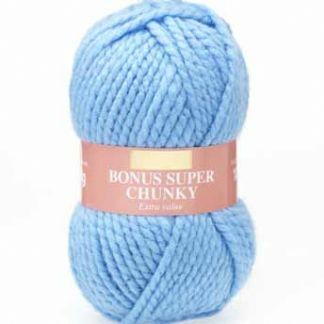 The yarn comes in a range of gently blended colours for women and girls that are perfect for creating cosy, chunky outerwear knits, that will see you through many winter days to come. 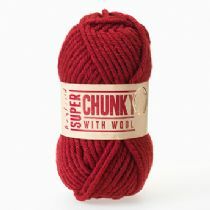 The yarn is machine washable and will knit to any Sirdar Super Chunky design. There are also lots of Faroe leaflets and a Faroe Knits book with easy quick knit casual designs for women and girls. There are simple cables, cosy waistcoats and pretty pull on hats that will have you looking stylish and warm this winter.